My first time to Scuba Dive was in 1995. I was working for Highland Homes and won a trip to Jamaica. I took a resort course and loved it! On the other hand my wife at the time did not like it, so I didn’t pursue diving. It wasn’t until later, in February of 2003, when said we were going to Cozumel and that she was going to take Scuba lessons. I said sign me up also. And that is how it all started! 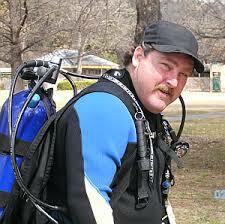 I had worked for a couple of dive shops (CUDA and Surface Intervals) in the metroplex and enjoyed teaching. When CUDA went out of business, I bought their compressor and opened DFW Scuba in March 2007. I now have over 1500 recorded dives.